Wallace Landscape Associates consists of an award winning team of registered landscape architects with a reputation for talent, creativity, flexibility and scope, to efficiently manage residential landscape architect design and installation projects. Each of our designers, builders and horticulturalists are respected in their discipline, to deliver outstanding results. Our team of degreed designers and horticultural craftsmen has over 60 years of combined design experience and 37 years of award winning Philadelphia Flower Show exhibitions. Before we turn a single spade of earth, Stoney Bank Nurseries will perform a detailed site analysis, where we discuss your goals for today and in the future. Stoney Bank Nurseries cultivates our own rare specimen trees, plants and shrubs on a 24-acre nursery in Glen Mills, PA. We also grow rare and unusual trees, shrubs, and perennials for wholesale purchase by other landscape professionals. With 25 years in business we are driven to share our passion to reveal beauty… We look to nature to inspire remarkable and immersive gardens that evoke the drama of a region's landscape. Our designs mirror impressionistic examples of the American Meadow and Eastern Forests. With great reverence for the wild garden, the American landscape informs our decisions about processes and beauty. Founded in 1993 our success has been discovered by partnering with clients we help them to realize value from a well planned garden utilizing sympathetic design as a way to restore harmony. Our designs consider function and circulation within space to achieve a sensuous experience with a composition that celebrates the evolving seasons. GreenWeaver is a full service landscape company, specializing in sustainable landscapes for both commercial and residential customers. Because we believe that, as professionals, land stewardship is our responsibility, we strive to provide excellent service and care for each property, in an environmentally friendly manner. We welcome you to join our mission: to create and maintain beautiful, useful, and healthy outdoor spaces by using sustainable landscape practices and the highest horticultural standards. 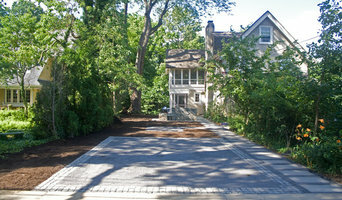 Chester County Landscape Design-Build Firm. Best of Houzz 2015-2018! Landscape Design for Your Home Your garden can be a magical place that meets your needs and wishes, whether it's a serene retreat from your busy day or a welcoming site for social gatherings. Creativity and sustainability are two of the driving forces of Gwendolyn's designs. Developing a landscape design tailored to suit your lifestyle, Gwendolyn uses her imagination and innovation to envision the unique possibilities for your space. Let Gwendolyn design a beautiful landscape for you that will enhance your lifestyle, enrich your life and feed your soul. Located in Philadelphia, MGH Gardens has 15 years of experience designing and installing landscapes and garden retreats. We specialize in creating urban garden living rooms that maximize precious outdoor space. In addition, we offer consulting services to coach clients through implementing their own dream room. In the city, plants are just one aspect of a successful garden retreat. That's why we also design and select the right structures, hardscaping, walls, fencing, furnishings, lighting and other accents to complement the interior decor and architecture. We revel in making Philadelphia greener while creating urban dream gardens one room at a time. We delight in designing garden rooms and coaching clients to create their own getaway spaces that incorporate their personal aesthetics and functional desires, resulting in beautiful personal outdoor urban sanctuaries. Each garden room design includes a carefully thought out space plan of hardscaping, walls/fencing, furniture and plant material that incorporates a curated selection of plants, furniture and accessories. Speaking to the design sensibilities of the client is of the utmost importance. Her work has been featured in This Old House Magazine, The Philadelphia Inquirer, Philadelphia Home and Garden Magazine, The Montgomery Newspapers and The Chestnut Hill Local Newspaper. She believes a garden should reflect your personality, desires and taste. Her personalized service addresses a variety of design styles and harmoniously blends the existing sites’ architecture with your personal aesthetic to create an outdoor area for relaxation and rejuvenation. Fine Garden Creations is a full-service landscaping company providing residential and public gardening services in the greater Philadelphia area. Our enthusiastic staff of trained horticulturists design, install, and maintain creative and innovative gardens. We offer a wide variety of horticultural services of the highest standards. It is our goal to work with our clients to create satisfying outdoor living spaces. We use selective, quality plants to craft unique gardens. Fine Garden Creations is a small company in its 23rd year. We offer the stability of a large company and the professional touch of a small company. Our main emphasis is on the design, installation, and maintenance of private gardens for clients seeking the highest horticultural standards for their gardens. Container plantings in residential and public spaces are a key area of work for Fine Garden Creations. Containers are planted to reflect the changing seasons to provide year-round interest for our clients’ gardens. 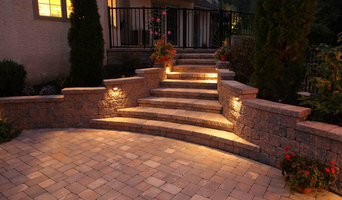 We design and install garden architectural features such as walkways, patios, steps, walls, outdoor fire pits and ponds. We believe that happiness is found at the intersection of people, plants and places! So, we create private gardens and corporate landscapes that celebrate the best that each has to offer, whether it is a compact urban lot or a rolling rural landscape. Our firm is founded in the traditional practices of horticulture and utilizes the most modern 3D computer-aided design and information databases to bring our creative solutions to life. At Garden Architecture, our goal is to create the outdoor living environment that you have always dreamed about. Our past clients can testify that taking the time to work with a landscape architect is the best way to insure the success of your investment. We listen to what you have to say, about the lifestyle you’d like to create, the budget that you have in mind and aesthetics that appeal to you. Founded in 1995, Garden Architecture, LLC is a landscape architecture firm that specializes in design and construction consulting services for private residential clients located within the Mid Atlantic Region. Our services include comprehensive 'Landscape Master Plans' that incorporate designs for Swimming Pools, Outdoor Living Areas, Kitchens, Fire Features, Shade Pergolas, Decks, Retaining Walls, Water Gardens, Play Areas, Walkways and Driveways. With a focus on environmental sustainability, we offer expertise in the design of rain gardens, native and wildlife habitat plantings, rain permeable hardscapes; ‘green’ retaining walls and a variety of storm water management solutions. Texada Landscaping is the product of the industry's need for a true full service landscape design and installation company. We can take your outdoor vision from concept to creation. As the "Best of Houzz" 2014, 2015, 2016 and 2017 award winner in Landscape Design and Architecture we continue to strive for excellence and customer satisfaction at the highest levels. Plus we are "Houzz Recommended" - The Recommended badge goes only to top-rated pros on Houzz. As of 2017, Aardweg Landscaping has more 5 star reviews than any other Philadelphia area landscape design/install business. [ 2018 update - Now I am switching over to Google reviews] Read what our clients have to say about us. And check our portfolio of projects/images to see what we have done for them...and can do for you. Call for your free consultation! The work of this outdoor professional includes most everything surrounding a home's exterior. 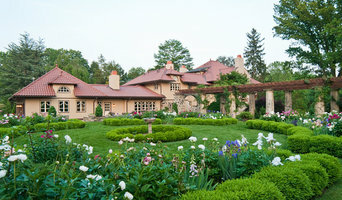 A landscaping architect can even work with the home architect to choose the right spot for your Chatham, PA house. From there the Chatham landscaper will develop preliminary concepts for your front or backyard design based on individual needs including the climate and activities that will take place, as well as layouts and planting plans. Landscape architects will also design any structures or outbuildings that will be added to the space. Any grading changes that will be added to the yard are also the responsibility of the architect. This includes any drainage modifications. An engineer can also be responsible for these tasks, but licensed Pennsylvania landscapers are fully capable. Like building architects, they will produce preliminary concept drawings as well as detailed construction documents and planting plans. Three-dimensional renderings and illustrative plans are all supplementary. A Chatham landscaping designer generally will have ecological, aesthetic and technical training, which helps them maximize the potential of your outdoor space. Keeping in mind both style and functionality, garden designers analyze your architecture and yard to produce a plan that may or may not include location and materials for walkways, patios, water features, fences, garden aspects and more. In addition, a landscaper in Chatham, PA will carefully assess your geographic region to choose plants, trees and flowers that will flourish naturally, as well as address concerns such as drainage, screening and soil conditions. Certain landscape designers only help with the planning portion, while some may deliver the plans and then oversee a hired landscaping contractor. Others — typically following a design-build approach — take care of both the design and all aspects of the landscape architecture and construction. Before you hire a Pennsylvania professional landscaper, consider the scope and emphasis of your outdoor project. Landscape architects, who typically hold advanced degrees in their field, are trained to develop comprehensive structural plans that include plants, hardscaping, water use, drainage and more. Landscape designers typically specialize in the aesthetic and horticultural, rather than structural, side of yard and garden planning. They might or might not have advanced training. Even within their fields, a garden designer may specialize in hardscape- or vegetation-focused designs. In some cases you might need to hire additional help to get the outdoor space you want. Here are some related professionals and vendors to complement the work of landscape architects & landscape designers: Landscape Contractors, Garden & Landscape Supplies, Tree Services, Gardeners, Lawn Care & Sprinklers, Decks, Patios & Outdoor Enclosures. Find a Chatham landscape architect on Houzz. Narrow your search in the Professionals section of the website to Chatham, PA landscape architects and designers. You can also look through Chatham, PA photos to find a space you like, then contact the professional who posted the photo.